LuxeYard, a luxury home furnishings and decor site, launched an interesting e-commerce platform this past January that added a twist to the flash sales model. Similar to sites line One Kings Lane and Gilt, LuxeYard offers up to 70 percent discounts on furniture, home decor and other accessories in daily sales. However, LuxeYard also offers what it calls ‘concierge buying,’ which allows members to request items they would like to purchase at a discounted price by posting photos to LuxeYard’s Facebook page. The most popular product will be voted up by members, and the startup’s experts will attempt to source either the exact product, or a similar product and offer this on sale to members. LuxeYard members also have the ability to push product prices down for certain items by using Facebook and Twitter to encourage others to purchase a product, which will drive the price down. For example, members may purchase an item for $100; share the information on Facebook encouraging others to buy the same product; and two days later find out that customer demand, which they helped drive, dropped the price to $50. Everyone who purchased the Group Buy Item will pay the final lowest price. The site also includes a set of featured design professionals and influencers provide design curation and offers aesthetic insights, product recommendations and special events exclusively for LuxeYard members. Consumers can also enter room dimensions and/or upload a photo of the room in which they’d place the piece to get a sense for how it fits with the current décor and layout before they buy. 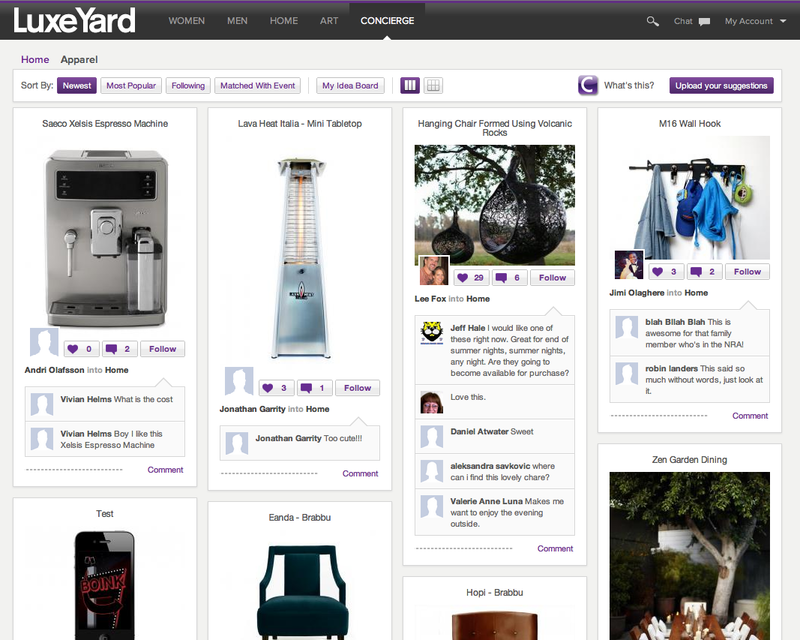 LuxeYard has raised $3.5 million in funding from a group of undisclosed investors. We are a Wood manufacturer and exporter with a beautiful collection of Wooden gifts and home interior decorative items.Our collection offers a wide range of the highest quality handmade home interior decorative designs.